In an effort to provide more services to our clients than ever before, Zazmic has become a Google Cloud Premier partner. This latest partnership is set up to accomplish a wide range of tasks for our clients, allowing us to offer enhanced support in the realm of app development and project management. ZAZMIC IS EXCITED TO ANNOUNCE OUR NEW CERTIFICATION AS GOOGLE CLOUD ARCHITECTS. As professional Google Cloud certified architects, we will provide more robust and seamless solutions to our clients. In our efforts to remain leading providers of technology solutions, we consider this new certification one more step to helping us effectively assist our clients in their journey. Develop a better platform for app development. By utilizing Google Cloud Platform, your business can have easy access to all the storage it needs for all of your app development needs. You can integrate as many members of the team as you need to in order to effectively work on app development while providing appropriate permissions based on username, level within the company, and more. This strategy can help improve your uptime while saving your company money: you’ll be able to get rid of your legacy infrastructure and replace it with Google’s options. Instead of learning how to use new tools, your team can focus on more effectively providing the features and service your customers need most. You want an effective, comprehensive app that serves your customers needs, not one that only works on your platform. Use the familiar Google tools. Most people are already familiar with how to use Google’s tools, from search features to Google Drive. As a result, it’s simple to start using Google Cloud for all of your needs. The intuitive design and easy transition means that you will be able to easily integrate your current development efforts on Google Cloud. Utilize the physical and virtual resources that Google has scattered around the globe. Google has access to physical hard drives and resources scattered across the globe, which can be turned to your company’s benefit. This means increased uptime, better processing power, and everything you need for successful data management and app development. As cloud architects, we can help shape Google Cloud Platform to the specific needs of your company. A Google Premier partnership means keeping up with the standards Google requires, including active AdWords accounts, Google certification requirements, and maintaining Google’s performance standards. Zazmic has long endeavored to meet these high standards and this partnership is a mark of our hard work. The new Google Premier Partner badge on our website marks us as one of Google’s trusted resources for cloud services. Google Transfer Appliance and the other programs available on the Cloud platform make it a snap to seamlessly transfer data. Cloud Machine Learning continues to grow. We’ll help you more effectively make use of Al technology to grow your business and automate many of the processes you deal with each day. In order to use Google Cloud effectively, you need a high level of security: a platform that will protect both your data and your customers. At Zazmic. we help with security management and connect you with the tools you need to enhance your business. Google’s Compute Engine offers virtual machines that will allow you to effectively scale your needs. When you use Compute, you pay only for the services you need, not for the ones you aren’t using. Cloud storage is critical to your business as a whole. With cloud storage, you can access your data from anywhere and have faster access to backups in the event of a breach or other problem. At Zazmic. we help with Cloud SQL. Cloud Bigtable. Cloud Spanner, and more. In addition to the other benefits of Google Cloud, it offers unprecedented networking opportunities through Cloud load balancing, virtual private cloud (VPC). and other options. From monitoring and logging to deployment management and more, we’re here to help with the daily operations of your business in Google Cloud. We’ll help streamline the development process and help you better utilize the tools at your disposal in order to provide you with a more effective strategy. Security is critical to your organization, and we’ll help you design a better approach that will allow you to more effectively protect your company and your data. Whether you’re migrating to Google Cloud for the first time or working to better integrate your existing tools with the Google Cloud Platform, we’re here to help. 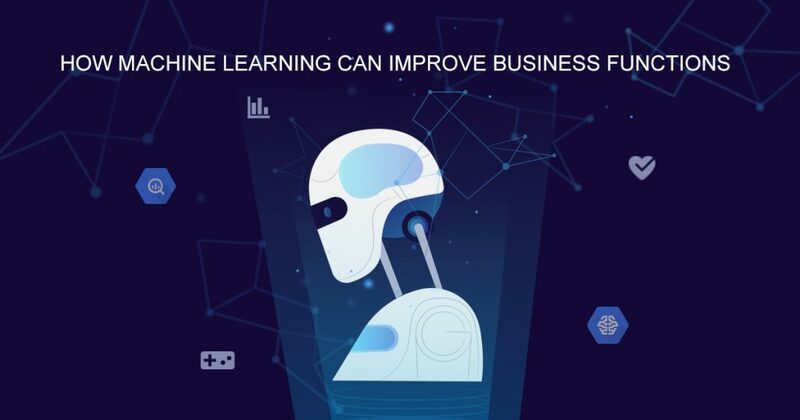 Zazmic is able to help you take advantage of everything that Google Cloud Platform has to offer: an incredibly scalable platform that is able to provide dynamic solutions for your business. As a Google certified cloud architect, we are able to better design streamlined cloud architecture that is easy for your company to use. This will mean a more effective platform that specifically fits your needs, with exactly the tools you need. An effective cloud architect can help reduce the number of extra tools and unnecessary steps within your process to create a more efficient setup for your platform. At Zazmic, we can help with app development direct from the cloud. This allows for a streamlined, scalable approach that will fit the specific needs of your business. The dynamic Google Cloud platform makes it easy to develop and transform your apps within a safe platform with increased uptime. When the time comes to deploy new apps and solutions throughout your company, you may need a professional team to help more easily deploy your new technology solutions. At Zazmic, we’ll help with the deployment process, from the initial deployment and testing phase as you begin to integrate the new technology into your company to the wider company deployment when you bring everyone on board. Managing your technology is just as important as developing it. At Zazmic, we’ll partner with you to ensure effective management techniques that keep your business running as smoothly as possible. We’ll also help troubleshoot any potential technical problems, assist with training your employees, and provide the tools you need to scale your technology as needed.